This is Norfolk’s leading seaside resort with a lovely coastline and the world famous Norfolk Broads. 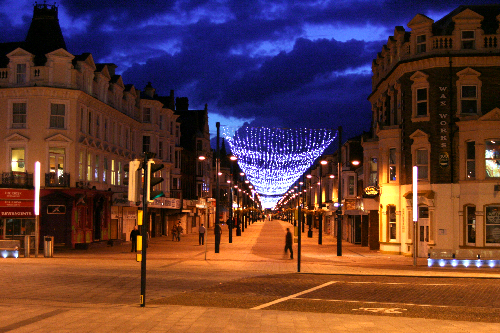 Great Yarmouth has a host of holiday attractions for both the day and evening including a theatre and an array of shops. There are miles of sandy beaches backed by the Marine Parade where you can put your hand to tennis, bowls, putting and angling. The area hosts a theme park to keep the little ones entertained along with all the traditional seaside shops which makes this destination ideal for families. Ideally situated in the heart of Great Yarmouth the New Beach Hotel is a perfect base for this destination. Close to all amenities and directly opposite the Brittania Pier the hotel has undergone a major refurbishment recently with all rooms tastefully decorated. The bedrooms are all en-suite with tea and coffee making facilities, internal phone, hairdryer and television. There is free WiFi in public areas of the hotel and a lift that serves most rooms. You can wind down the evening in either the lounge or bar but there is entertainment provided most nights.